Ever since Alexander Lebedev came to London from Russia with cash, there has been bombshell after bombshell in the British newspaper market. No-one expected the oligarch to buy the Evening Standard, or to then make a success of the struggling brand by turning it free. Equally, no-one expected Lebedev to snap up The Independent and then launch a sister national paper called i, in a market already straining at the seams with free and paid-for products of all varieties. But, of course, that is exactly what the darkest horse in the British newspaper industry decided to do - to launch a jazzier 20p digest version of the £1 Independent designed to create a new market from "lapsed readers of quality newspapers". 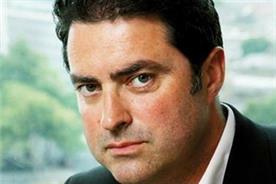 The project has been six months in development, part of a strategic review led by managing director Andrew Mullins, after the grim realisation that The Independent, haemorrhaging circulation and advertising revenue, needed the publishing equivalent of a quadruple bypass if it was to live to see another birthday. 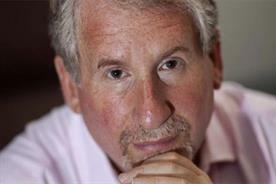 Simon Kelner, who has lived and breathed the fortunes of The Independent during his ten-and-a-half years as editor, believes the paper would no longer exist today without the intervention of the Russian billionaire. He says quietly: "[Being bought by Lebedev] was a very significant moment. After its birth, possibly the most significant moment in the newspaper’s history, because The Independent would definitely be closed by now if the Lebedevs hadn’t bought it. No question." 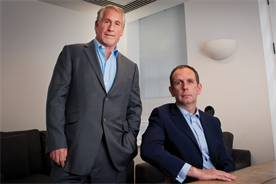 Kelner and Mullins, with the backing of Alexander and Evgeny Lebedev "at every stage", rejected a radical programme of cost-cutting at the newspaper - "we would have been left with something that wasn’t The Independent" - as well as going free - "circulation is the lion’s share of our revenue" - in favour of launching the first national newspaper since the birth of the Independent in 1986. Mullins describes i as a "line extension" of the parent paper, while Kelner prefers to call it a "cheeky younger brother" of the full-price product. Call it what you will, i is more than a spin-off; it is a bold attempt to extend The Independent’s reach from the same cost-base, to swell the combined circulation of big I and little i to 400,000 and restore The Independent to profit for the first time in more than 20 years. "We are doing all this to extend not just the reach, but the life of The Independent," says Kelner. "We couldn’t carry on running the business in the same way because the losses would just increase and it would become untenable. No-one has deep enough pockets to sustain that." He later adds: "[The launch] is an expensive exercise, but one that we think will yield results in the medium to long term." Independent Print Limited is refusing to issue copy sales figures, which are sitting at about 125,000 copies a day, according to unofficial reports, until it has "absolutely accurate" data. But anecdotal evidence from the 600 letters, plus emails, texts and tweets sent to Kelner suggest the paper has hit the mark with not just the social media generation, but anyone who simply no longer has the time to read a quality newspaper every day: mums, older people, "Colin from Scotland". Leslee [sic], an "ex-Times reader", texts to say: "Perfect size for busy mom… I feel part of the newspaper reading posse again", while Zoe Harrison finds a moment to message from her iPhone: "It is fantastic. I normally buy The Times at least once during the week, then feel guilty that I don’t read it cover to cover." "I have been astonished," says Kelner, rifling through the stack of letters on his coffee table to pull out particularly glowing excerpts. "In my 28 years at national papers I have never seen anything like this. About 95% of our letters say not just ‘I like i’ but ‘I love i’, things like ‘I absolutely love this paper’, ‘I love your new paper’." Kelner, 52, has been working 14-hour days, six days a week since his team started producing the first dummies of the new paper in early October, so last Wednesday (3 November) he let his hair down for the first time in weeks by drinking in The Groucho until 1.30am with the Daily Mirror’s editor Richard Wallace [whose newspaper group prints and distributes i]. When Media Week meets Kelner the following day, he is feeling rather delicate, and opening a Jewish Film Festival dinner at Evgeny Lebedev’s restaurant Sake No Hana that evening is "the bloody last thing" he feels like doing - as, presumably, is being asked to defend himself from the criticisms of i, of which there are many. Nevertheless, he plays the game. Dressed in a brown shirt tucked into brown trousers teamed with brown desert boots, he takes a seat on his brown leather sofa, puts his feet up on the coffee table and deflects the charges one by one. Firstly, you can forget any notion that print is dead. "News International put out figures for their paywall, showing that about 105,000 people have paid £1 a month in the four months since the paywall went live. We get more people than that every day; i is on a far bigger scale than The Times, and we spent less marketing it." Secondly, there is no danger that i, which is performing a tricky balancing act between being 20p better than Metro but one fifth as good as The Independent, does not have a niche in a crowded market. "It is a tough balance editorially," Kelner concedes, "but I think we have done pretty well so far. 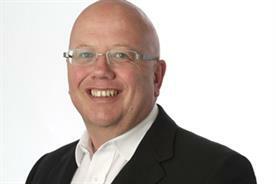 i has a distinct character from The Independent - it is cheekier, more frothy, not as serious." But will Independent Print Limited be careful not to make i such good value that readers prefer it to the quality daily and it cannibalises its own sister? "You know what," Kelner says, sounding weary. "You can’t set out to not make something good. Of course i has to be different, but it has to be very good. I think it is astonishing for 20p - what else can you get for 20p? Four-fifths of a cigarette." Kelner is also keen to clear up any misconception that i is an "upmarket Metro", since both papers target young, professional, urban readers. "You could argue there is cross-over," he says. 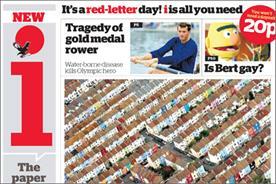 "And if Metro readers want to trade up to i, I would be delighted. But we are certainly not targeting Metro readers - they are very different papers, don’t you think?" "I think i has a position on its own anyway," he continues. "I don’t define it by thinking about where we sit in the market; I look at a certain type of potential reader and think ‘you’ll do’. The thing that unites our audience is that they want a quality read in a short space of time, at a good price-point. That is our proposition." Kelner bats away questions about circulation targets, claiming "we can’t have circulation targets because we are here to turn a loss-making business into a profit-making business and there are so many different variables". "Maybe ad sales will get better and circulation will be not as good or vice-versa," he muses. 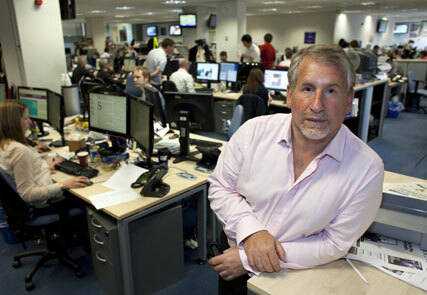 "As long as we get to where we want to get, ie Independent Newspapers turning a profit." Pressed on the earliest date he believes that could happen, Kelner forecasts "next year sometime", if i is the success its Russian owners hope it will be. "But the secret of a long and happy life is not to worry about things you can’t control. All I can do is come into work every morning, do my job and hope that’s good enough." Kelner’s parting words are that he might need a little sleep before his high-octane dinner in Belgravia that evening, announcing his intention to "curl up with Penelope Cruz". Then, when Media Week looks faintly alarmed, he indicates the cushion adorned with the actress’s face on his office sofa and adds: "In my dreams." A man with two burning desires then - to bed Ms Cruz and to see The Independent go into the black for the first time since the 1980s. Readers convinced by the track record of the Lebedevs will agree at least one of those ambitions is achievable. Executive editor Stefano Hatfield’s editorial remit: "Stefano is an experienced hand, and we are both very comfortable with where i is at the moment. Celebrity coverage will be included on its merits. We can’t deny that our readers are interested in celebrity, but i won’t be a showbiz product." Whether i will ever replace The Independent: "That doesn’t really work, because then i has to pick up all the costs of the Indy. i is great, it is fabulous and new and it has captured a little bit of the zeitgeist, but The Independent is our raison d’etre." Plans for i’s distribution model: "We are looking at all sorts of ways to make buying i more convenient and easier for people. I am sure we will come up with something, but these plans are in their infancy." Predecessor Andrew Marr, who described editing the Independent as "less a poisoned chalice, more a cup of lukewarm ricin": "Don’t get me started on Andrew Marr…"
Hobbies: Kelner plays tennis before work with the Independent’s managing editor Imogen Haddon and Andrew Anthony, interviewer for the Observer.